Yes, I said ‘art’. There’s a simple reason for this. Because erm, there is an art to it. 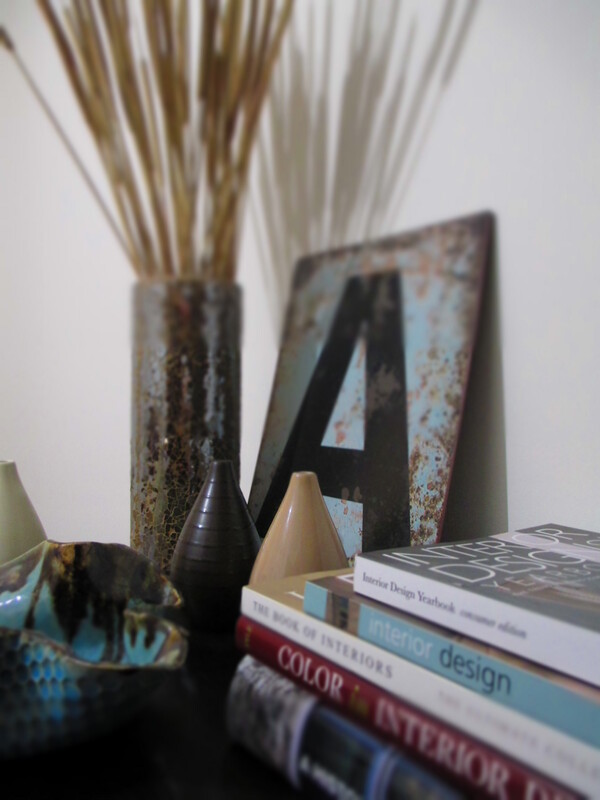 If I listed the following: sparkly vase, vintage inspired sign with the letter A, faux wheat stems, a pile of books, a few teeny tiny vases and a handmade bowl. 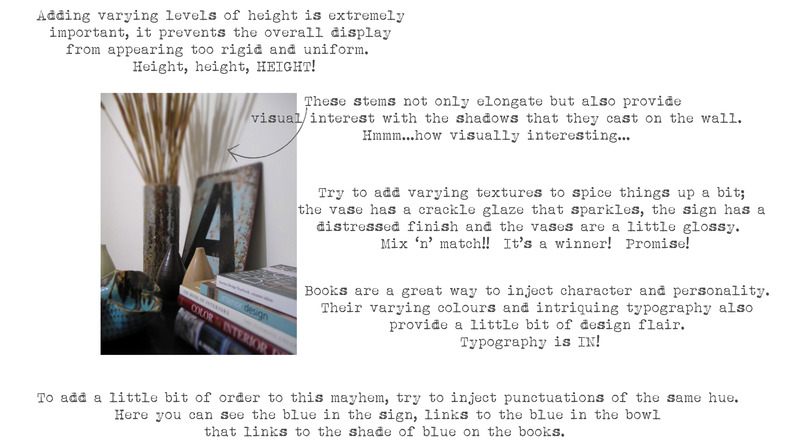 Would you be able to display these in a visually stimulating manner? Well, would you??? Answer me, dammit!! Ok, maybe you would. Maybe you’d be able to wave your magic wand and whip up a little display worthy of sitting in a John Lewis department store. A display that would draw gasps and finger pointing aplenty. But a lot of people wouldn’t be able to. And this isn’t about naming and shaming. 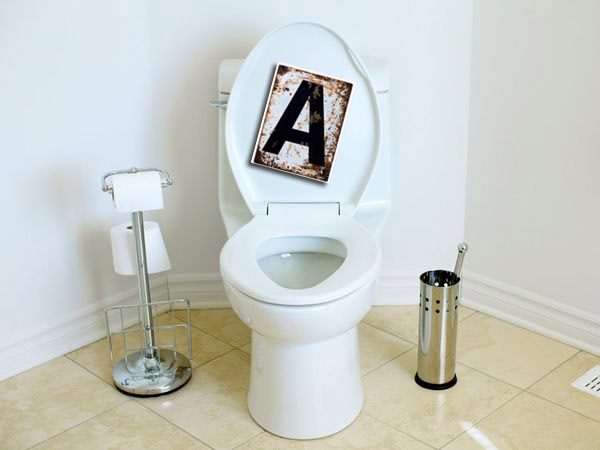 There are plenty of peeps out there who would clutch a vintage inspired sign with the letter A, and run from one corner of a room to the other, desperately trying to find somewhere to place it. Somewhere! ANYWHERE! 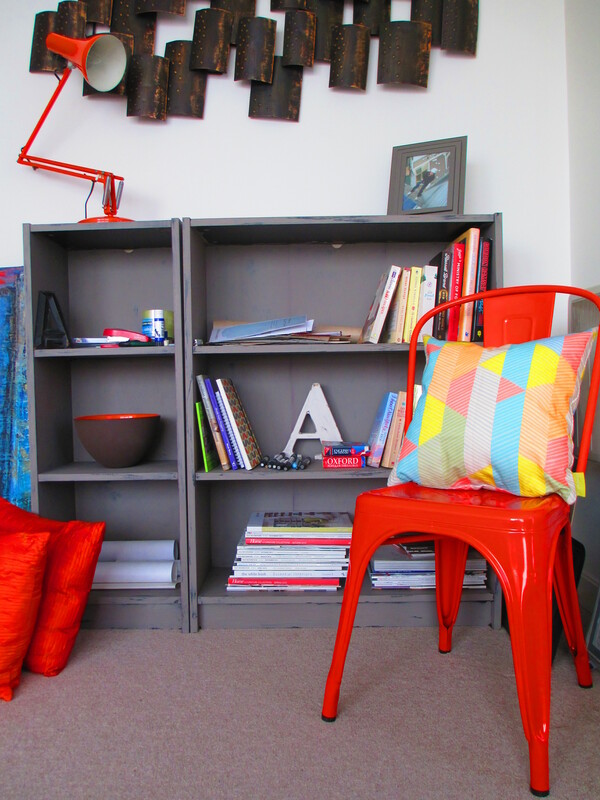 So, let’s take a look at how you should be displaying your worldly goods, shall we? By following these tips, you would STILL be able to make random purchases from a Charity shop (while blindfolded) look good. Please don’t dare me to go to a Charity shop to prove the above point. I’ll ignore your request; and then delete it. Then I’ll refuse to acknowledge and respond to your 15th email asking me why I didn’t prove my point in my blog post about making random purchases from a Charity shop (while blindfolded) look good. Here’s the display in all its sparkly, distressed, typographic and faux wheat-y goodness. And here are my tips to achieving this glorious, ‘oh, I just whipped this together while waiting for my nails to dry but really it took me 2 years to get it just right’ look. It didn’t take 2 years, it only took 18 months. You’ll need to click on the below image to increase viewing pleasure! You want another example, don’t you? Sigh. All I do is give, give, give around here. Ok. Here’s another one. I’m ferociously protective of this Tolix chair. Aside from the utterly cosmic new jacket I bought from Zara a few weeks ago, this Tolix chair is the BEST, most SUPREME purchase I’ve made. EVER. Although, the vintage (genuine) Anglepoise lamp is also pretty awesome. Actually, I can’t choose. I can’t. Don’t make me choose! You should be able to see a pattern emerging, from my first example. The colour orange is being punctuated throughout. Even down to the exquisite Orla Kiely notebook, sitting ever so casually but having been placed and re-positioned 7.45 times. Wait, you can’t see it? 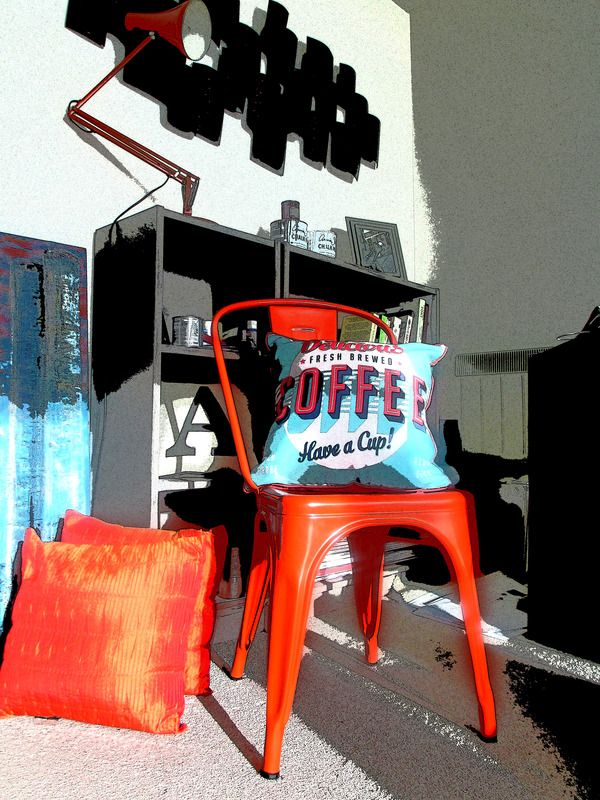 Yes, I like to take ‘arty’ photographs of what you perceive to be inanimate objects. They aren’t inanimate! These things are like family! How can that lamp be perceived as ‘inanimate’?? I’ve never seen a lamp with so much personality in my life! It’s got more personality than some of my previous dates, for goodness sake. And I’m not joking. It’s all there: the pops of colour; the typography; mixing and matching of textures, finishes, styles and drawing the eye UP with the inclusion of wall art. Although, I did recently replace the cushion. I freakin’ love the new cushion. It’s got bags of style, personality and has the power to completely transform my mood. It’s basically the equivalent of a ‘Joey hug’. You remember those, right? What an awesome, mood transforming cushion! And that folks, is how you bring a little bit of life to your ‘stuff’! 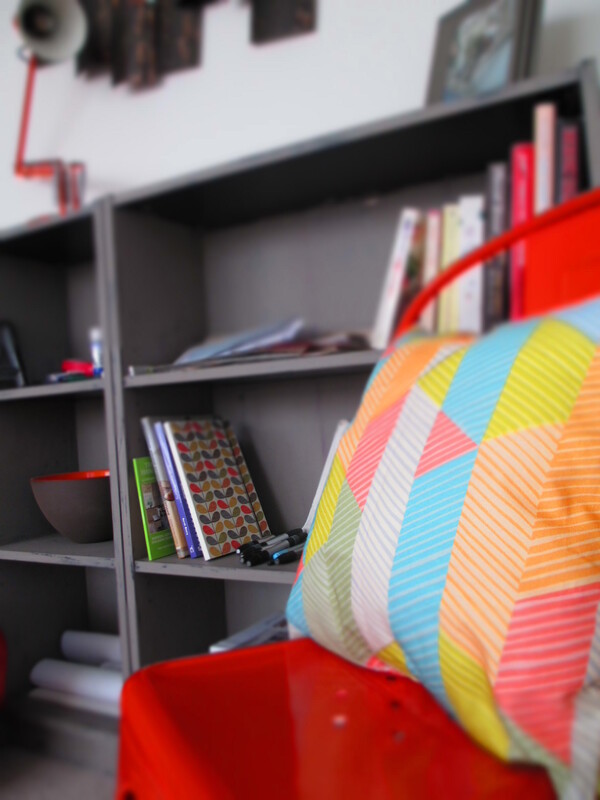 If you’ve got downright joyous displays of ‘stuff’ dotted around your pad, then please take a snap and send them to me! I’d love to do a feature post on all your fabulous ‘stuff’!